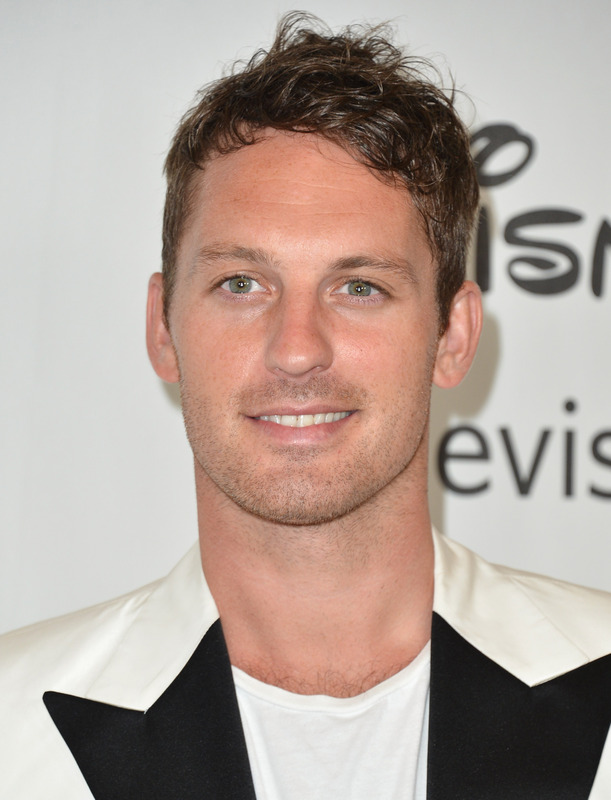 It was the cruelest of jokes when Season 18 of everyone's favorite celebrity dance show premiered on St. Patrick’s Day with its luckiest Irishman, Tristan MacManus, missing from the Dancing with the Stars stage. OK, he was somewhere to be found, I guess on his “honeymoon” to his beautiful wife or some such. I’m not bitter—I just miss him. Yeah, no, obviously I’m bitter; and word on the sequin-studded, fringe-laced streets is, so are you. Every season, when the new cast is announced, we gather round our radio sets with Ma and Pa and hope for the best. (Oh, is not how your family does it?) For five happy seasons, we’ve seen MacManus’ name announced to partner with the eldest stateswoman celebrity and taken it, just as long as we get that charming lad on our screens. We watched him use every trick in the book to corral Nancy Grace into following his lead — I’ll take it. We saw him gracefully bowing out with Dorothy Hamil due to her injury — I’ll take it. We let him give us hope that this life is worthwhile and the world isn’t such a scary place with the unsinkable Valerie Harper — I WILL TAKE IT x1,000,000, PLEASE GIVE ME ALL THE FOOTAGE YOU’VE GOT. But alas, Season 18 is MacManus-less. I figured he was the shoe-in choice to dance with Diana Nyad this Spring, but he was nowhere to be found in the sparkle-pro lineup come March’s announcement. Tom Bergeron, that master of sass ceremonies, offered no explanations, and you know Erin Andrew’s got nothing. Girl is just trying to breathe in through her nose and out through her mouth while she tries not to claw Maks’ eyes out and double checks Billy Dee William’s vitals to ensure that he is, in fact, just standing very, very still. So here I am, trying to offer you (OK, me) a little closure on why you can’t watch the magically delicious MacManus on DWTS this, or any other Monday night, and where else you might be able to catch him – here’s looking at you, Willoughby, Ohio. The happy answer is that he was busy getting married to the love of his life, Australian actress, Tahnya Tozzi. They were flowers to be chosen, rings to be swapped, and duh, dances to be…danced. The weirder answer is that it doesn’t seem Tristan was invited back as a pro this season. My hope is that they’re waiting to pair him with the perfect star to finally give him a winning chance, but my fear is they’re reasonably afraid his charm, wit, and generally lovely presence are slowly stealing the show from their lovable panel of lunatics. A statement to Macmaniacs.org (a real thing!) made his return seem a little iffy. What’s he been up to? Frankly, a whole slew of hilarious things, but mostly staying right in his lane: dancing with middle aged women. Tristan has been touring in DWTS-adjunct, Ballroom With a Twist, but certainly the cutest thing he's doing is visiting dance studios all over the country teaching the locals how to **jazz hands** DANCE! Those who can, do, and those who are also really kind and sweet and patient, teach. If you're the seafaring type, you might just catch Tristan on a "Dancing With the Stars: At Sea" cruise (also a thing!) in 2014. There's a champion cruise in December where the finalist from each 2014 voyage compete for the DWTS:AS title — what I'm saying is, you could both dance with Tristan and win a Mirrorball Trophy. WHAT ARE YOU EVEN DOING IF NOT SIGNING UP FOR THIS RIGHT NOW? Other options: His wife seems to be auctioning him off on her orginal film's Kickstarter for $150. Excuse me while I pledge my life's savings (conveniently $151) to find out more about these "+great bonus incentives."